Skin so flawless, you can go bare. This organic, instant skin perfector firms and plumps to reinvent your best skin ever. Expert priming technology creates a flawless, luminously lit canvas that's beautifully smooth for makeup or not… once you see how great your skin looks, you might decide to skip makeup altogether. 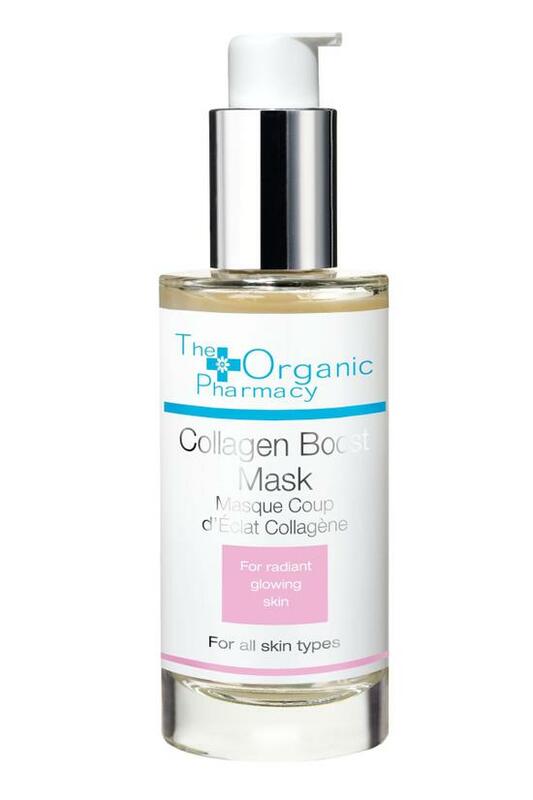 Apply a layer of Collagen Boost Mask and leave on, do not rinse off. The skin will radiate and firm. TIP: If you are going to a party or have had a late night apply a layer of this gel as an instant boost after the skin care routine and before your make-up.